Gold Markets closed up $22.70 today at $1,349.30 moving higher on uncertainty – this is a surprise but then what would you expect with trade wars looming and international tension rising. 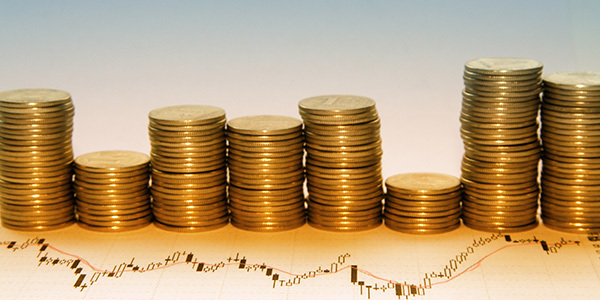 It’s certainly not the dollar – the Dollar Index has been steady around 89.50 for the past two days and there are some who make the case that the stock market is overbought and the dollar overvalued. So the possibility of even lower dollar valuation is creeping into this conversation. But for now let’s be happy that the physical market is attracting new safe haven buying and the price of gold is breaking to the upside. Will this continue – perhaps but let’s not get too excited – gold has a lot of work to do before the world will declare it has its mojo back. Look at the 60-day pricing chart – today’s close above $1,340.00 is solid progress. But unless we close above $1,362.00 gold is still range bound. A break above this higher number will encourage technicians and add to gold’s most recent mojo. Traders are looking for confirmation that gold’s most recent price leg which began in 2015 ($1,050.00) is still viable. The reason they are still looking for confirmation is that the bulls have tried unsuccessfully three times to move above $1,400.00. And staying above $1,400.00 looks like a tough sell – this price lid has been in place since 2013. But in today’s “anything goes” financial world who knows? The technical picture is improving – government rhetoric is heating up – foreign governments are stealing our intellectual property – rogue nations running amok – cheap money is still the name of the game – the President willing to double down and Wall Street is nervous. I’m surprised everyone is so calm actually. Trump finally signed the 1.3 trillion spending package, which is a 2,200 page nightmare that few likely read and still fewer understand. We continue to throw money at our problems and if you are old enough you already know this approach rarely does well in the long term. So at this point I would say I’m cautiously optimistic because the gold market is still cheap relative to other stores of value. We don’t have much fear in this market which is also a good indicator that there is room for gold to move much higher. I have used this analogy before but it’s important. How many people actually own physical gold as an investment? I would say that not one in ten especially in the United States. This makes the ultimate case for physical ownership – 90% of the potential buyers are still quietly waiting on the sidelines. If gold bullion were actually popular its price would be multiples of what you see today. So the best thing you can take away from today’s discussion is not that gold may soon challenge $1,400.00. Higher prices – like lower prices are almost always transitory. Today’s “insight” for lack of a better word is that gold remains a sleeping giant in world finance. This from Zaner (Chicago) – “Gold continued a rally overnight that began with the conclusion of the FOMC meeting on Wednesday, which put Fed tightening on the back-burner and brought the ideas of a trade war back into focus. Yesterday, President Trump signed a memorandum approving $60 billion in tariffs on Chinese imported goods. The gold and silver markets did not react immediately to this news, perhaps the news was already “old” by the time the announcement was made. News that Trump would excuse Europe from the steel and aluminum tariffs may have dampened the effects of the new announcement as well. However, the “trade wars” theme seemed to pick up overnight, as China responded with threats of retaliation against US imports and ideas of an escalation took hold. One could argue that Trump’s replacement of National Security Advisor McMaster with John Bolton, an outspoken military hawk who has advocated (in print) a preemptive strike against North Korea, may have sparked some safe haven buying as well, especially since a good portion of the moves in gold occurred after that news hit. The Senate passed the $1.3 trillion spending bill overnight, which avoids a government shutdown. The size of the spending bill shows how little the appetite is in Washington for any form of fiscal restraint, and one could argue that that factor coupled with the recent tax cuts could be setting the US economy up for some real inflation, which should be supportive to gold. The gold/silver ratio is approaching its 20+ year high from 2016 at 82.9. This suggests silver should at least be pulled higher with gold, if inflation is the driver. Safe-haven buying from economic uncertainty is problematic for silver due to its use as an industrial metal. Silver closed up $0.20 at $16.53. Platinum closed down $0.70 at $946.90 and palladium closed down $10.50 at $975.05. 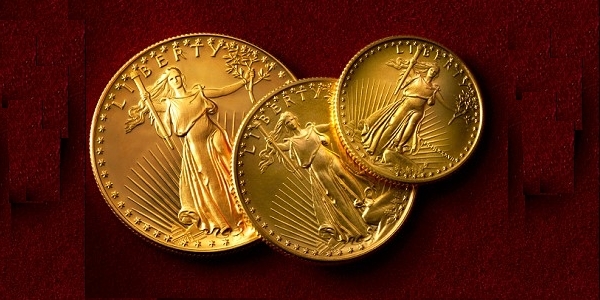 Our Patented Employee Survey – Gold’s Direction Next Week? Of course, it’s not really patented but we do have some fun along the way. This is what the GoldDealer.com employees think: Four believe gold will be higher next week 5 think gold will be lower and 1 thinks it will be unchanged. Our Patented Customer Survey – Gold’s Direction Next Week? Like the employees, our customers were given three choices – up – down – unchanged. We limited the survey to a random sampling of 100 transactions – unscientific but worth considering because these people took action: 35 people thought the price of gold would increase next week 49 believe the price of gold will decrease next week and 16 think prices will remain the same. The GoldDealer.com Unscientific Activity Scale is a “4” for Friday. The CNI Activity Scale takes into consideration volume and the hedge book: (Monday – 3) (Tuesday – 3) (Wednesday – 2) (Thursday – 3). The scale (1 through 10) is a reliable way to understand our volume numbers. The Activity Scale is weighted and is not necessarily real time – meaning we could be busy and see a low number or be slow and see a high number. This is true because of the way our computer runs what we call the “book”. Our “activity” is better understood from a wider point of view. Increasing numbers would indicate things are busier – decreasing numbers over a longer period and volume is moving lower. Disclaimer – The content in this newsletter and on the GoldDealer.com website is provided for informational purposes only and our employees are not registered financial advisers. 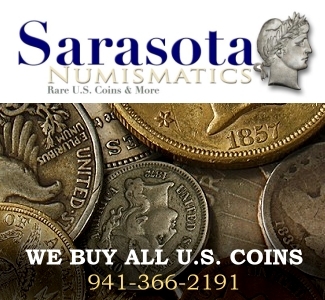 The precious metals and rare coin market is random and highly volatile so it may not be suitable for some individuals. We suggest before deciding on a course of action that you talk with an independent financial professional. While due care has been exercised in development and dissemination of our web site, the Almost Famous Gold Newsletter, or other promotional material, there is no guarantee of correctness so this corporation and its employees shall be held harmless in all cases. 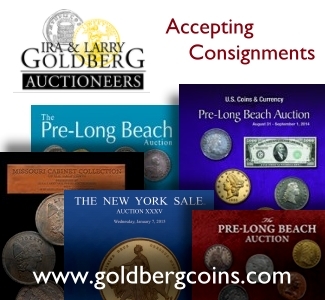 GoldDealer.com (California Numismatic Investments, Inc.) and its employees do not render legal, tax, or investment advice.